While the first birthday is an important milestone, the second is even more fun! Baby is bigger and they will certainly enjoy their gifts even more! Just wait until you see their reaction to this beautiful 18-inch helium balloon! 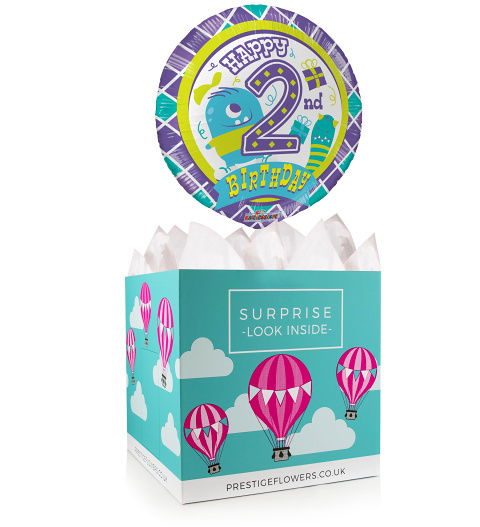 The gift comes with a colourful gift box lined with tissue paper and you can choose from our optional extras if you like. Remember to include your very own special message for mum and dad to keep in baby's box of memories!